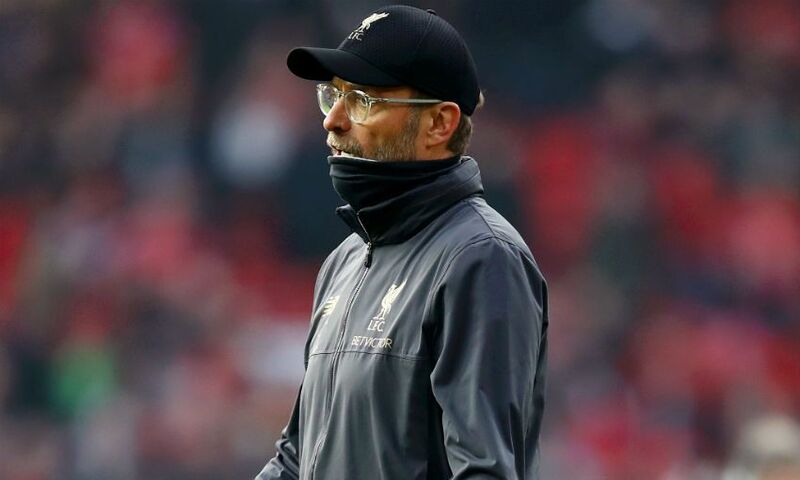 Jürgen Klopp believes a flurry of first-half injuries disrupted Liverpool's promising start in Sunday's 0-0 draw with Manchester United. 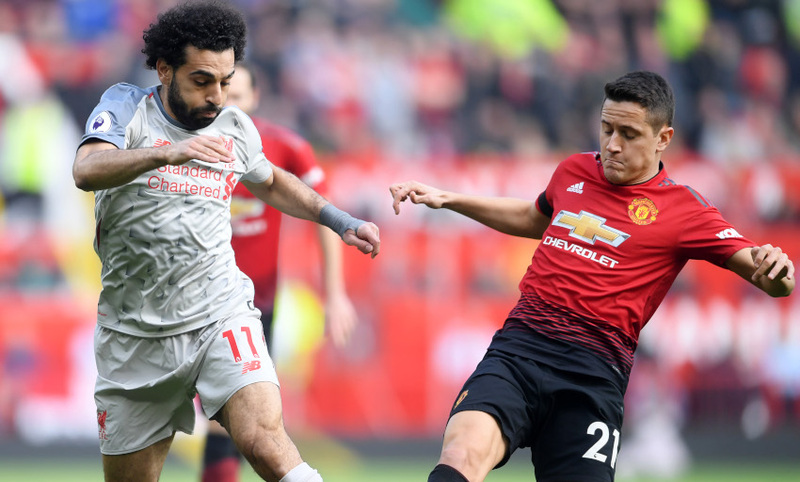 Roberto Firmino was withdrawn due to an ankle problem in the 31st minute of the Premier League clash at Old Trafford, while the hosts were forced to substitute Ander Herrera, Juan Mata and Jesse Lingard before the break. 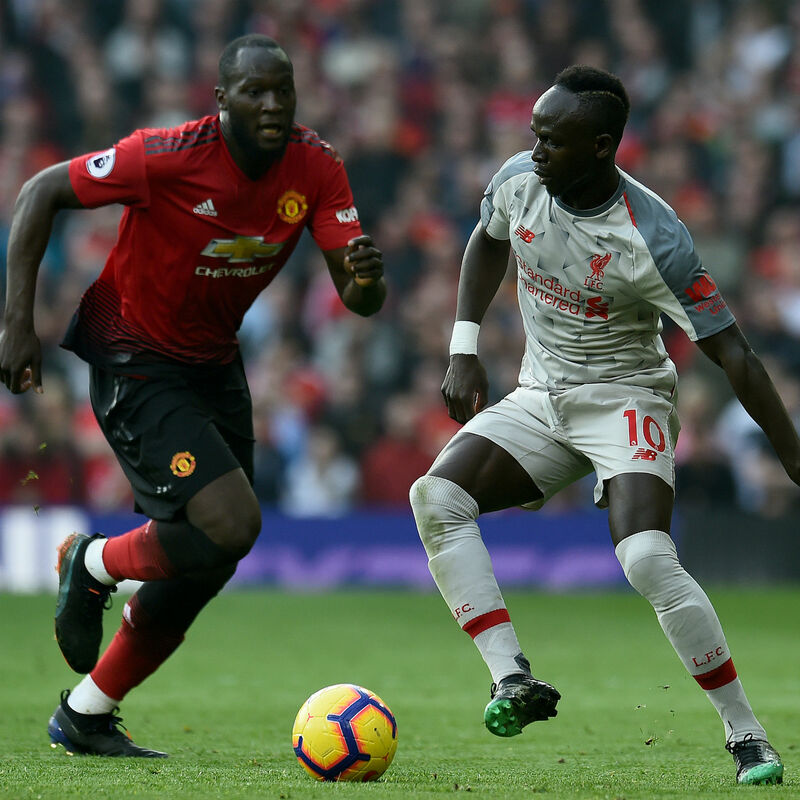 Chances were few and far between in a game that saw the Reds dominate possession without reward on the scoreboard. However, a point means Klopp’s side return to the top of the Premier League with 11 games left to play this season. It’s both, obviously. We have a point more and that’s good. I think before the game, the shape United were in before, a lot of people would have expected it is the worst moment to face United. When we started the game it was brilliant actually, we started exactly like we wanted to start: it was direct, we played in behind, we wanted to be there, we followed the ball, we pressed high and it was all really good. And then the injury crisis started. A lot of interruptions and things like that and it was obvious it cost us the rhythm. I don’t say it should happen, but it happened obviously and I cannot explain exactly why. It was a completely strange game, playing around without really speed. Speed in the wrong moment, chip in the wrong moment. The first half was OK, second half was a little bit less so it’s now a 0-0 and they had a big chance when Ali made a fantastic save. The rest were set-pieces from United. I would say they are pretty dangerous, so we had to be 100 per cent concentrated, we were 100 per cent concentrated. That’s good, we kept the high line so they were offside when they scored the offside goal and that’s all good, but of course we expect from ourselves to play better football. It looked like today would’ve been a day if we continue like we started then we could have won the match, 100 per cent, but we didn’t. Now we take that point, it’s one more than a lot of people probably expected. So now everything is equal games-wise, and now let’s play the rest of the season. All good. We lost the rhythm and didn’t get it back. We were in charge, we passed the ball around [then] we lost the ball in the wrong moments or passed it through the box but couldn’t keep the ball there. We lost Bobby in the first half as well, which doesn’t help in general. But chipping the ball in behind, that’s important with the high last line, but we didn’t really do that. I would say if United played today with a full team like they played in the last couple of weeks or so then it’s a completely different game, they know what exactly they do, know where they pass, and that means we know as well where they pass. Then it was completely different, the whole game changed and that obviously was not good for us today. I have no clue really why it happened, but it happened, it’s obvious. As a manager, most of the time I take what I get, that’s how it is. Today the performance was good enough for a draw at United and everyone feels it could have been more. That’s true, we feel the same, but it’s still a point. Now we have to use that. We will play on Wednesday again against a team full of confidence with Watford scoring five at Cardiff, coming now to Liverpool in a brilliant atmosphere. We have to be ready again and we try everything to be ready again. I am not here to be disappointed, I am here to help the players to play their best football. I’m not sitting here when we win the games saying I’m the best and when we lose or draw at Man United then all the boys are guilty or whatever. I know them pretty well, they want to perform, 100 per cent, but sometimes it doesn’t happen. How I said, the start of the game I liked a lot. But then something happened and we lost the rhythm and it was not that good anymore, that’s the truth. We made it too easy for United to defend us in a completely new formation. We are not blind, we know that, the momentum changed. Before the game, United were probably the favourite a little bit with how they are playing in the moment and then you saw the line-up and Matic is not in etc, but still a really, really good line-up. And then the things happened and it changed, all of a sudden it was like ‘we have something to lose here, if we don’t win today against this team then something is wrong with us’. We are all human beings and sometimes we get information and don’t use it in the right way. But in the best case you learn from it, and we will learn from it. These boys brought us in the situation. Yes, not a lot of them were really shining really bright, but there’s another chance on Wednesday. You saw it, the mood dropped. It was not like we put them under pressure and one ball after another in the box. You saw them passing around, the boys were constantly talking about protection, they were impressed by the counter-attacking force. They leave these two high players up on the wings, and we used it in the first half pretty well. Millie had I don’t know how many balls in the first half in the back of Lukaku. It is not too easy. You have to finish these situations off because if the cross leads not to a goal, a corner or a free-kick, it’s a good situation for a counter-attack. That’s what they’re doing well, it’s a bit risky – if we’d played better it is risky – but we didn’t use it, so it was not risky. We were not compact enough, even for second balls we were not always compact enough. We had moments, but unfortunately we didn’t finish them off. Mo knows he can play better than he did today, we know he can. Two weeks ago, when we played against Bournemouth, that was amazing. Against Bayern he was up against Alaba, a world-class player himself, they are not blind. Each player in the world is to defend; it’s about how we use him, how we play him, how we move and all that stuff. Today obviously, Lindelof and Shaw together did a pretty good job. I have to talk here about the game, but I am not too much interested in that game anymore because I am thinking about what can I do so that we are really spot-on on Wednesday night. Nothing really serious happened today; we came here, we wanted to win that game with all the talks around and stuff like that about United being in a fantastic moment. They are, that’s true but they still have 14 points less than we have. The good news about today is that didn’t change so let’s carry on. The situation for us, of course, a top team plays really defensive [against us]. That’s not nice to play against. People can say, ‘Man City are doing better’ but we don’t compare ourselves with that because we have to get the points our own way. There are different ways to be successful and so far we were successful. That’s 100 per cent true. I get there has been a few too many draws in the last couple of games but, still, we are where we are so let’s go on. Mo said this week in an interview, ‘Yes, of course there is pressure’ – and of course there is pressure. Actually, from my point of view it is a very positive pressure, but I don’t have to play – I only sit here and say dumb things, so that’s easy. We all have to learn in these situations, the only way we can do it is with passion. This club, the heart and soul of this club, is passion. On Wednesday night we have another chance and then there’s the derby, which is always a very emotional game so again passion. Today was like deconstructing here and there and in the end, we had to fight, yes of course it was a fight – but it was a different fight to what we expected and we didn’t adapt exactly like we should have. We know where we are coming from and we know where we are – now let’s make sure we use the situation as good as possible and then we will see where it ends for us. Today was not brilliant, but we’ve lost here more often than we’ve drawn. Today we drew, we have a point but it feels like we should have won – that was the same against Bayern. It shows where you’re coming from when Bayern plays against you and defends with all they have. Something changed in the world of football, everybody adapted to it and now we have to make sure we adapt as well to our quality.